5 Words: Horror, boarding-school, British, Bloody Mary. Ok, so that was terrifying. Let's start with the cover. Look at it. Feel a shiver of fear. Now show it to your younger sister who is living alone and easily scared and duck when she throws things at you because "I bloody live alone and that's f**king terrifying and now I'll have nightmares!". 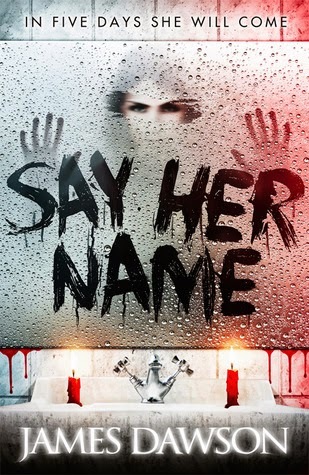 Say Her Name was a very British horror. It's one that makes you think, it's subtle and builds slowly, the little things that you barely even acknowledge are the things that build the tension and crowd the atmosphere... And it was written beautifully. Now, I'm usually not a fan of horror. All that doom-and-gloom and usually a dose of pure gore and violence... Not my cup of tea. And although this book made my toes curl and make me "Eeek!" plenty of times and made sure that I haven't looked in a mirror since I started it, I was definitely a fan of this one. The best part about this book was the humour throughout. 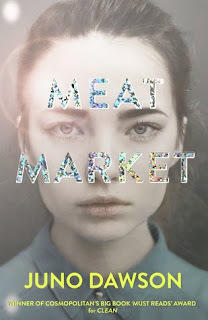 Bobbie is quite a cynical, wry character and I loved her observations. They were a bit of relief from the whole going-to-die theme. And they stopped it being too much. That ending had me going. I was honestly convinced about how it would end and then in those last pages it just got a helluva lot freakier. I also love how it wasn't a completely closed ending either. In short, this book is definitely worth a read. It was freak you out and make you super paranoid around any reflective surface, and you'll probably cover up every mirror for a week or so, but it was excellent.